A registration token is tied to a certain group of senders. When a client app registers for FCM, it must specify which senders are allowed to send messages. You should use one of those sender IDs when sending messages to the client app. If you switch to a different sender, the existing registration tokens won’t work. 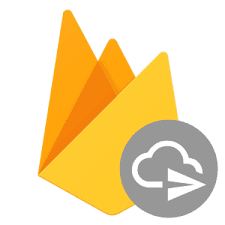 我嘗試把呼叫API 的Authentication key的伺服器金鑰換成新的Firebase Cloud Messaging 憑證，錯誤消失了!